easily control, highly automation and stable performance. Canbe used road and bridge, Instead of metal corrugated pipe, etc. 4. All kind of polyolefine material, multi-layers spiral strengthen pipe can be co-extruded, recycled material can be used in production. This machine is used to produce carbon fiber pipe which is made of PE and carbon. Carbon and fiber pipes have advantages of high pressure and corrosion resistance, high tenacity, prolonged life span, light in weight, no deforming, etc. They're ideal substitution for pipes made of cast steel, rubber, and PE materials, widely applied in agricultural irrigation and drainage, wire and cable, vent pipes and gas pipes, etc. SAIOU did export business since 2001,so we have the certifications which suit for shipping our products:waste PET plastic recycling machine, PP PE granulator, competitive cost of plastic recycling machinery equipment, Plastic corrugated pipe extrusion machine line,waste shredder tyer shredder plastic shredder,all include our machines.And we also have quality certification. 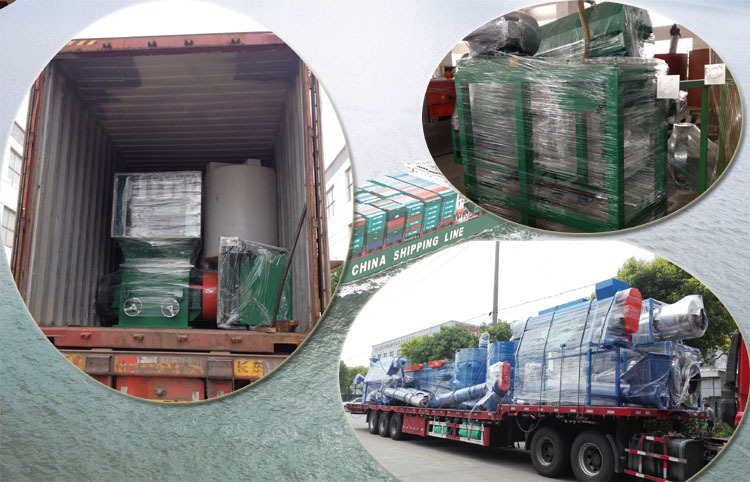 Our machines export to USA, RUSSIA, BULGARIA, CHILE, MALAYSIA, CAMBODIA, VIETNAM, KOREA, MEXICO, INDIA, BANGLADESH etc. Wooden package: If you want to wooden package, should bear the extra cost. The machine inspection before delivery in SAIOU MACHINERY When you come to our factory .Check everything is it ok .
Free of charge of some necessary spare part. One year guaranteeof all the machines running , if any problem ,we will bear. Of course if the machines after one year ,you also can ask for the technical guidance. We accept 30% TT down payment, 70% TT or LC at sight before delivery. Film packing or plywood packing suit for sea shipping. 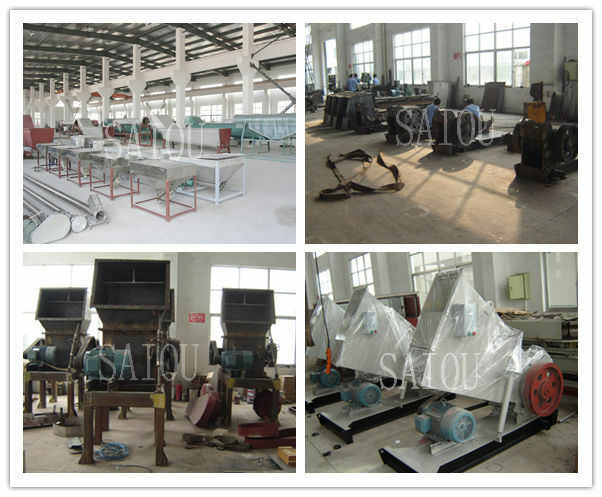 Saiou Machinery is one of the largest plastic carbon spiral pipe production line manufacturers and suppliers in China for its quality machine and excellent services. With highly precise products for sale, we warmly welcome you to buy the machine at reasonable price from our factory.